Hot Rod Magazine Power Tour Is Coming June 9! Hot Rod Power Tour Comes To Town! The 2015 Hot Rod Magazine Power Tour will be coming down Illinois Route 3 on Tuesday, June 9, after leaving Gateway Motorsports Park in Madison, IL outside of St. Louis. Route 3 is the very same street that the V8 Speed & Resto Shop and V8TV call home. The next stop for the Power Tour is Memphis, TN. The "Mr. Chevy" 1955 Chevy Gasser and it's "Carried Away" Hauler will be on-hand for the day to greet the thousands of Hot Rod Power Tour Participants. Our shop will be open and we will be here to extend a helping hand to any Power Tour participants that might need assistance, or who just want to stop in and say hello. The V8 Speed & Resto Shop will be open all day... and night if needed! 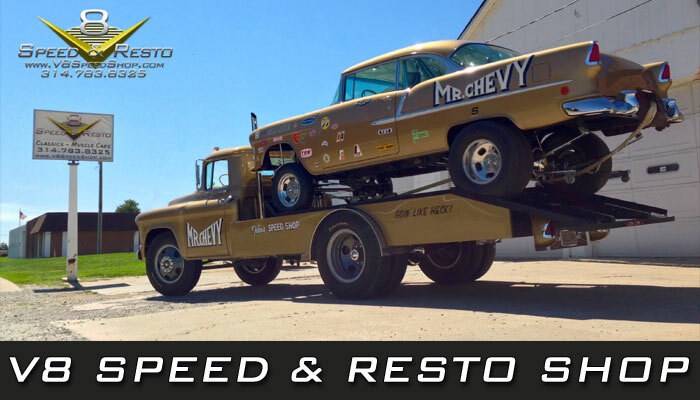 V8 Speed & Resto is a full-service restoration and performance center with lifts, tools, welders, and highly-capable technicians ready to help anyone who needs it. Replacement parts are also available locally. 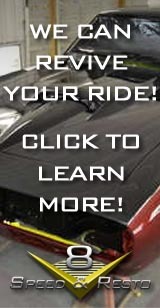 We've been on many Hot Rod Power Tour Long Hauls and know what it is like to need a hand on the road! We will also be shooting video and streaming live on the V8TV Website! The towns along Rt. 3 will all be rolling out the welcome mats for Power Tour participants, including Columbia, Waterloo, Red Bud, Evansville, Chester IL, and more. There have been meetings to discuss ways to make the Power Tour experience a smooth one, as well as to prepare the towns along the route to assist participants however they can. Restaurants, gas stations, and other stores will be open and fully staffed. 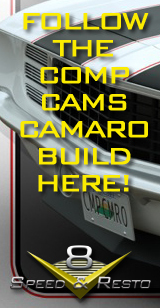 We welcome everyone to come out and see the Power Tour, or stop by the shop any time to see the latest project updates!